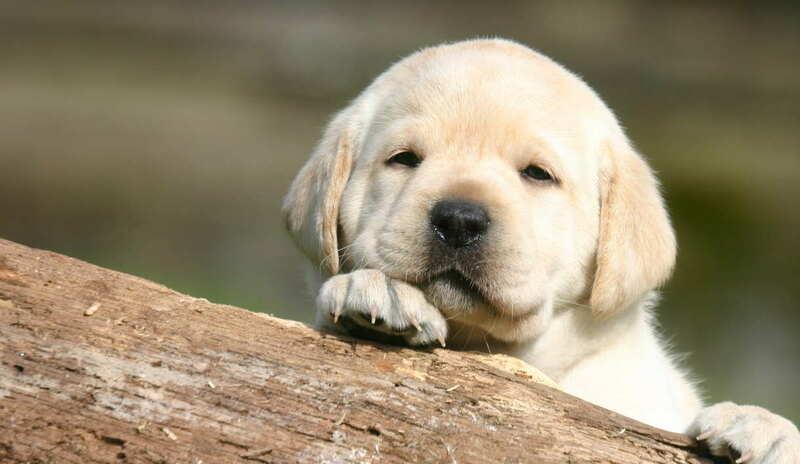 If you are thinking of buying a Labrador puppy you have come to the right place. We guide you through the whole process. 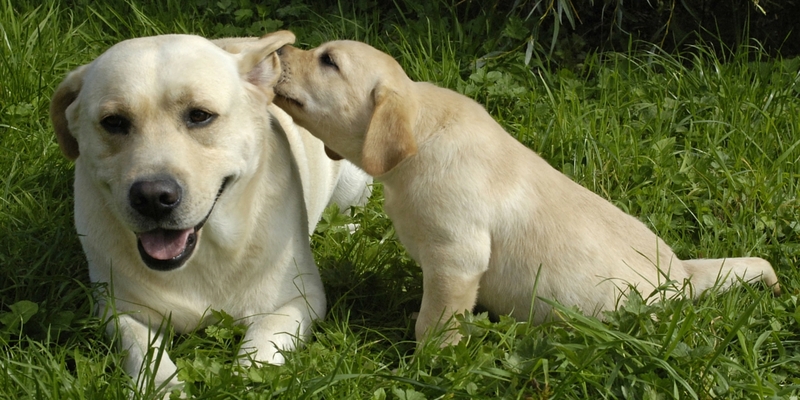 [wp_ad_camp_5]Giving you the important information you need to choose the right Labrador, from the best breeder. How to pick a pup which will grow up to live a happy and healthy life. And advise you on the best way to care for him after you bring your puppy home. Have you been told “never get a dog from a private advert!”, but aren’t sure why? This is quite a commonly distributed piece of advice. If you are searching for an older Labrador, you should rehome via a rescue centre. If you are searching a puppy, you should go through a reputable breeder ( or a rescue centre). This is not bad advice, but there are other options available to you if you are hoping to buy a Labrador online. There are some appalling adverts for puppies on the internet. And you can see why many people will warn you to avoid them. Some of these ads are clearly put up by puppy farmers, with many different breeds of dog available. Some are obviously bred by ignorant and irresponsible people that have made not health checks on the parents and have no interest in the long term welfare of the puppy. However, good breeders with quality puppies will also sometimes advertise their pups. This might be for many reasons, being let down by time wasters for example. A newer breeder who has not yet built up a reputation will not have such a long waiting list to fall back on, and may need to advertise from time to time. [wp_ad_camp_2]This does not mean that he or she is a bad breeder. It will be up to you, to make your checks. Bear in mind that a responsible breeder is not likely to advertise on a general purpose ‘puppies for sale’ website, but might put a small ad in the local paper, or advertise on a specialist site such as the Gundog Club, Champ Dogs or another breeder specific site for show dog enthusiasts, or agility, etc. Many breeders will advertise their litters on the Kennel Club website, and this is a reasonable place to begin if you have no contacts in the dog world. On balance, I do not think that private adverts should be dismissed out of hand, whether you are searching for a puppy or for an older dog. But you might want to avoid the large puppies for sale sites, and treat all other adverts merely as an introduction. Nothing should be taken ‘on trust’ when buying a dog. You will need to take responsibility for checking out the credentials of the person who is making the sale, and ensuring that health checks and all other paperwork is genuine and up to standard. 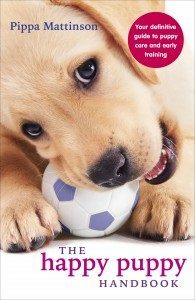 There are many very families that have bought the ‘wrong’ Labrador puppy and suffered the consequences. Buying a puppy with a serious inherited health problem such as ‘hip displasia’ can be a heart breaking experience and financially disastrous. The only way to make the right decisions is to be well informed. All Labrador puppies are not born equal. Some have a much better chance of being healthy than others. This is largely down to the effort their owners have gone to long before the puppies were born, through health screening and careful selection of breeding stock. The fact that the puppy you want to buy has been born into a loving family, perhaps owned by a friend, does not necessarily mean this puppy is a good choice for you. If you are looking for a puppy, here are 8 steps to buying a healthy Labrador puppy. 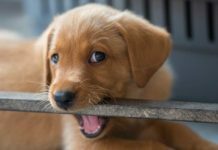 This article looks at how to find the puppy with the brightest future. 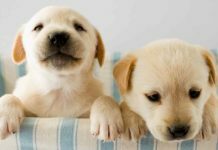 If you are still considering the impact of owning a dog, then 6 things to consider before buying a Labrador puppy takes through the implications on your life, ongoing costs and time you will need to dedicate to your new friend. Of course your new friend doesn’t need to be a puppy, you may be looking to give a home to an older dog. 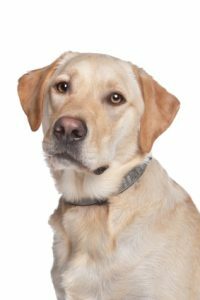 If you are looking to purchase a Labrador online then there are again pros and cons to the potential avenues you could follow to find him. Sometimes a family who give up their dog due to their circumstances, will take a dog back to its breeder, rather than leave it at a rescue centre. In many cases, this is the right thing to do, as a good breeder has already made an emotional investment into the dog, and is likely to fall over backwards to find another good home. A breeder will not always be able to match a dog that has been returned to her, to a suitable contact. And may want have a larger pool of people to interview as prospective new owners. In some instances the breeder may then advertise the dog in the local paper or on the internet. [wp_ad_camp_1]So if you see an older dog that seems perfect for you, advertised in a newspaper or on the internet, I would not say that you should discount it out of hand. Occasionally, very nice dogs can be found this way. What you will have to do, is be very careful about checking the breeder out, in just the same way as you would a puppy. A good breeder will also want to know a lot about you, and may want to visit you in your home. She should be honest about the dog’s faults, and the way it has been treated. And will have a full health check history for the dog’s parents. You will probably be expected to take the dog on for a trial period, to see how you and the dog get on together. If things don’t work out, she will take the dog back at the end of the trial. If they do work out, ownership will be transferred to you at that point. What about taking on a dog advertised by the owners who no longer want it? This can be more problematic. People are rarely completely objective about their own dog’s strengths and weaknesses. Unlike the breeder, the private owner has no reputation to uphold, and is unlikely to be willing to take the dog back if you cannot get on with it, or if it turns out to have some horrendous fault that they ‘forgot’ to tell you about. You are very vulnerable in a situation like this and it is not the best way to find a dog. At a rescue centre, you will often find a range of different dogs to chose from. A good rescue centre will assess each dog carefully and be honest about its faults. It will also take the dog back if you are not happy with it. On the downside, some rescue centres will not ever re-home to people that work, even if they have doggy daycare planned out. Most will neuter all their dogs, which is not always the right health choice for every dog. Most will not let you have the dog’s pedigree papers. So if you want to show or trial the dog later, you may not be able to do so. Check out this article for more information: Is a rescue Labrador right for you? 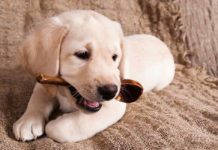 From time to time you will find lovely young Labradors of between 8 and 18 months of age, offered for sale for relatively small amounts of money. This is especially true in working line dogs, where a breeder may sell on part trained young dogs that don’t quite make the grade for competition. A lot of work will have gone into these dogs and they are often very well mannered. These Labradors tend to be snapped up quite quickly, but it is well worth keeping an eye out for them if you want an older puppy. One of the best places to look for part trained working line gundogs, is on the Gundog Club website But remember, you still need to do your homework and thoroughly check the credentials of the seller. 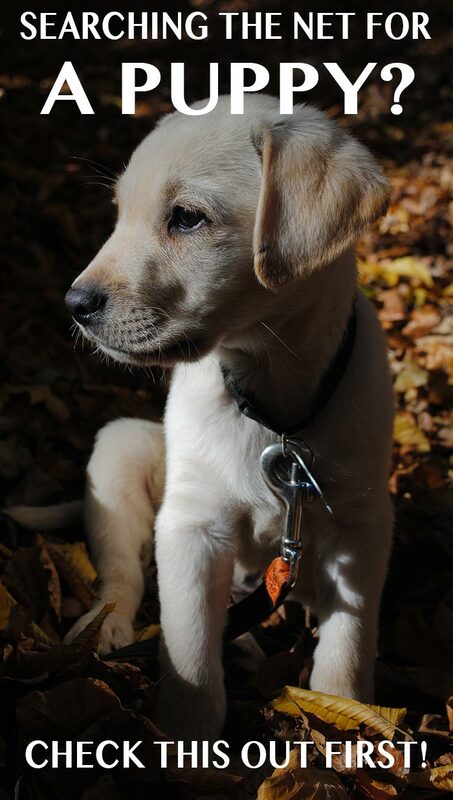 My husband would mind have a Labrador puppy. I am looking the Color white , Brown , Black .all have his shots record the puppies Breed to a Labrador puppy . State of Louisiana how much do it cost Louisiana .All its paperwork. He can’t be register lab puppy and paperwork restoration papers . 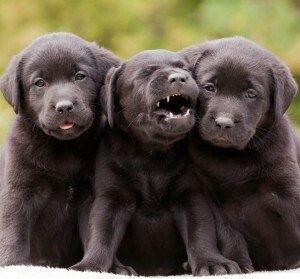 I really love Labrador puppies. But i had no idea about the prices of the dog compare from Sri Lanka and abroad. I simply cannot comprehend buying a puppy online… without having a personal contact with pup…call me a dinosaur or whatever…. That contact is essential for the owner and the pup…. and the next 10 -15 years you will have that little pup. Having difficulty finding a Lab puppy, preferable Black Boy. Having lost our last one in April last year aged 15, the last of a line I bred from 1980. Want one ready for end March/April this year. We are based in North Yorkshire but would travel! Thank you for any advice help. Hi Jilly, You might find this article on finding a good breeder helpful.